Two bedrooms with one bath furniture apartment. The living room area has a very comfortable chair for relaxing viewing of your favorite movie on the flat screen TV. The dining area has a beautiful table with quirky seating for four people. The open kitchen is equipped with a full size fridge and also has a house private washer and dryer. Included one parking space. 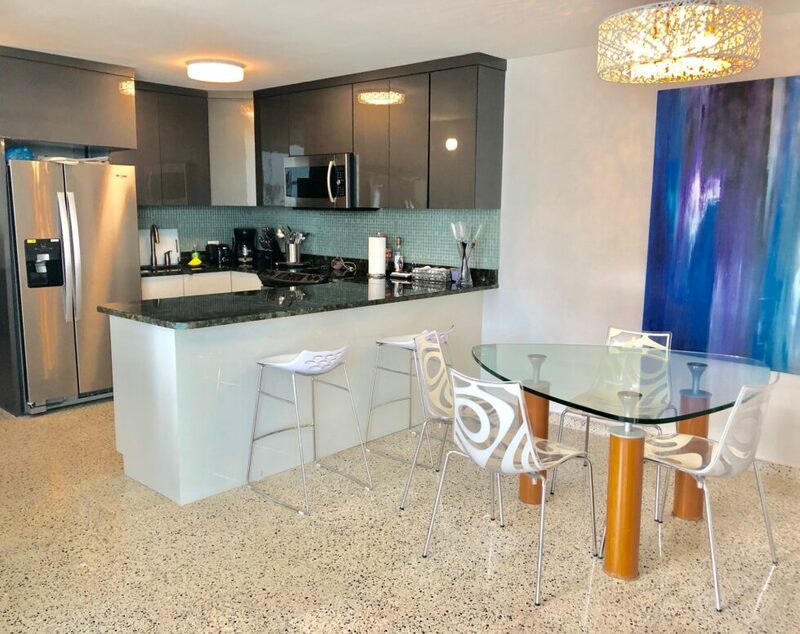 This complex is next to Marriott Courtyard has pool, security, gym and is strategically located near the Luis Muñoz Marín International Airport.